A Wimps Guide to Orthognathic Surgery: 7 days till 4th brace tightening! I never thought a brace tightening would be something that I actively look forward to having, I never thought I would be excited, or have it take over a whole page in my diary with exclamation marks and smiley faces and underlined. But they have, the naughty little things! Some days I sit and think about how much my life has changed over the last 8 months, and how bloody obsessed I've become with teeth and braces and orthognathic surgery, and underbites and overbites and jaw surgery and generally looking at peoples mouths before their faces. Thanks to this wonderful world of jaw surgery blogs I know I'm not the only teeth obsessed freak out there! But who would of thought it hey, I'm sure my obsession will grow the closer I get to surgery but what will happen once I'm all done? 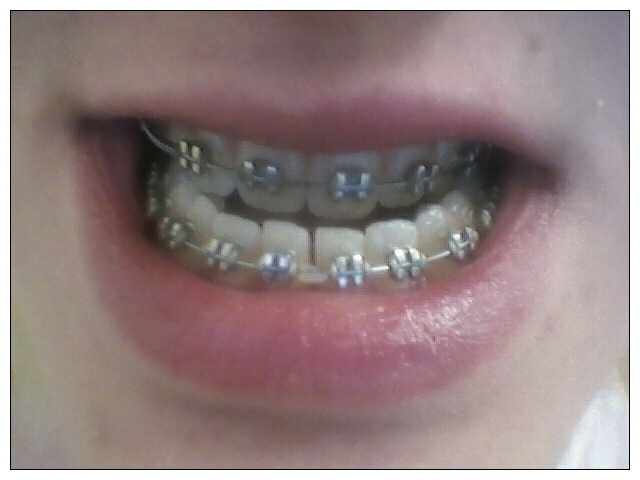 I am genuinely, 100% in awe of what these braces have done to my teeth in 8 months, look at the difference! I cant believe I was walking round with teeth like that! It is just incredible. I will make some time tonight to take some more all round pictures of my teeth and my face 8 months in, but I am just amazed at the results all ready. 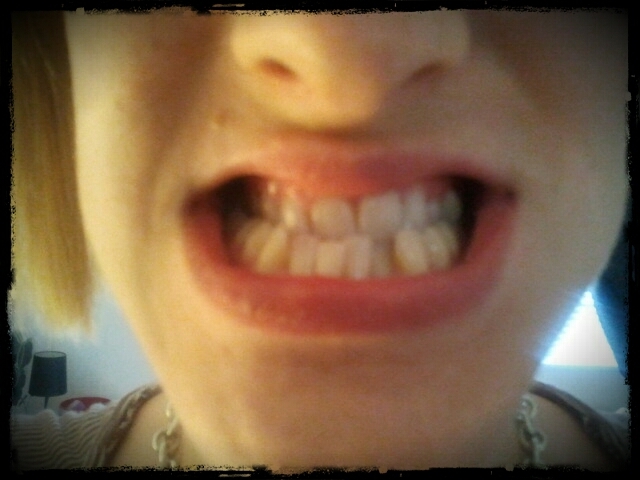 If anyone is reading this and wondering whether to have surgery done or to have braces on to fix your teeth, DO IT!!!! 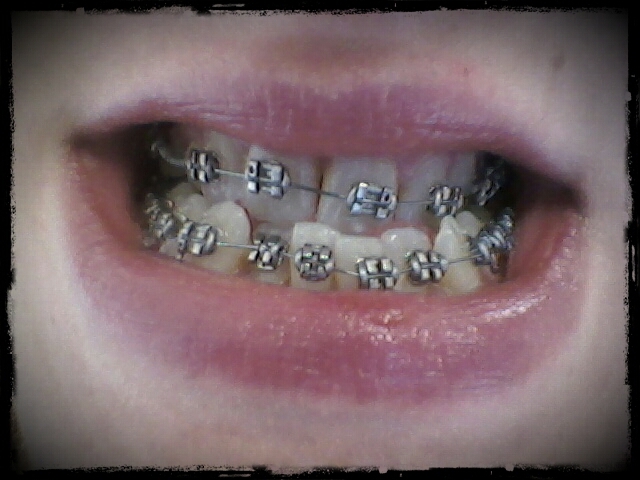 Don't be scared, look at what 8 months in braces has done to me! I haven't had surgery yet but I am so happy with how my teeth are, yes I have an underbite but look at how straight and in line and level they are! They are beautiful! I look at these pictures and at my teeth and think OMG how bloody good is my mouth going to look after surgery! I'm going to have nice teeth, I'll have the best teeth in Northamptonshire, I could be the mouth on the toothpaste adverts! I'm hoping that the blob of glue in between my bottom front teeth has done it's job and can be removed next Tues. I would also like this next tightening to close up that little gap and just centre my teeth/midline but Mr O'Neil knows what he doing, I'll leave my teeth in his capable hands and just be patient. YAY Natasha!!!!!! :))))) I'm having my next adjustment today & I am pretty excited too!! Hope yours goes well for you. Wow now those are some lovely teeth! Hope you don't mind me saying - Your original ones didn't look too bad until you put them next to your new ones! Hahaha I know right! I was looking at my 8 month pic then my day 1 pic caught my eye and I was like OMG,they have changed so much. Also a really good example of why it is so important to take pictures of this process because I didn't realise how much difference there was, and your right, they look pretty bad next to my new straight teeth.